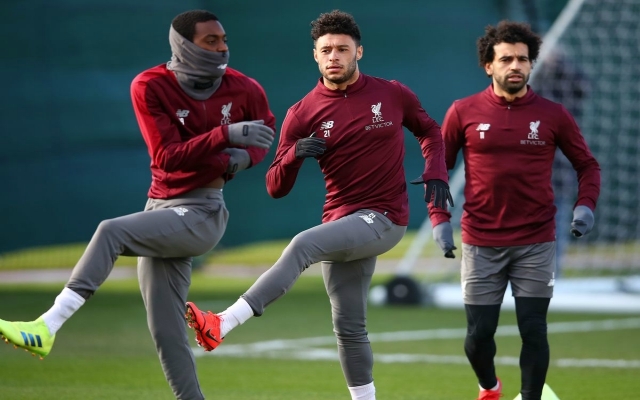 Alex Oxlade-Chamberlain has been a long-term absentee for us since that terrible knee injury against Roma in the Champions League last year. He finally made a comeback appearance for Liverpool’s U23 team earlier in March. But now, the Ox has been in the wars again – thankfully, this time it was just a scratch wound. Chamberlain has apparently been using his spare time to ingratiate himself with his girlfriend’s cat. Little Mix star Perrie Edwards posted a full-length Instagram story of our No. 21 attempting to bond with her childhood feline friend. It didn’t go to plan though; the Ox was filmed repeatedly trying to pick up the cat, who initially seemed to take a liking to him. But things soon turned sour as the cat shunned his advances. Eventually, the cat lashed out at our midfielder leaving him with superficial scratches; Edwards and Chamberlain later joked about the ‘battle wounds’ from his new feline foe. Thankfully, Ox is nearly ready for a restoration to first team action following that semi-final injury which has kept him out for a year. He’s back in full-training and now has those 40 minutes under his belt from the U23’s victory over Derby.